A Place Where Dreams Come True is the real life story of divine intervention in the life of a young Iowa man. Through many hardships associated with growing up with a self-seeking father, he was forced to seek something/someone greater than himself. He knew there had to be something better than just existing in this state of emotional pain. Thomas was wondering and questioning everything in life. He was lost, with no direction. He had no answers to all of life’s questions: What is our purpose? Why am I here? Is there a God? The story changes dramatically. It begins with his initial encounter with the God of the universe. Being mostly unchurched, Thomas begins to seek after a relationship with God on his own. He started reading the Bible and asking God to prove himself in his life. God likes a challenge…Right? Then the story really takes off! Thomas begins to expect God to do miracles in his life in non-traditional ways. After steps of faith, miracles began to happen. Not being used to religious orthodoxy, Thomas was learning that God is real, and if he is real, then God would prove himself. Thomas presents God as active and personal in life. Thomas encourages others to find a place where dreams come true. 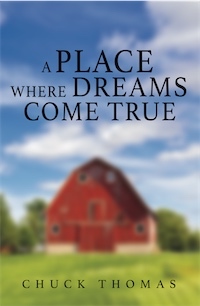 "A Place Where Dreams Come True" is a VERY interesting and powerful compilation of God Stories that I know you will find both encouraging and heartwarming. Thomas does an excellent job of taking the reader along for a ride through his real-life encounters with the Creator of the Universe. Story after story, it’s testimony time on steroids. If you have ever questioned the existence of a loving Heavenly Father, you won’t any longer after reading this book. Highly recommend! This book reads like the author is sitting down with you and telling you in a conversational manner what God has done in his life. He tells of his childhood in a forthright way that you don't feel like he's playing on your emotions but is instead giving you that background to understand better the miracles that God did. When you read about his engagement story you will be in awe of how God works in mysterious ways. The chapters are short, so the book is very approachable to read for a bit at a time. However, you will have trouble putting this book down as you wait to see what God does next in the life of this man who is committed to God. A Place Where Dreams Come True is a story that needed to be told. Chuck Thomas leads the reader through his story tracing the golden thread of God’s love, proving that our lives are not just a series of random events. This is absolutely an encouraging story affirming God’s love and concern for his people. Everyone will find something in this book to identify with, whether it is a troubled childhood, random relationships, spiritual warfare or bouts with depression. I read A Place Where Dreams Come True when going through a season of unemployment and the emotional fallout of that disappointment. Thomas’s reminders that loving my own life and wanting to control my own agenda will reap pain and grief when things don’t go as I had planned were the wake up call that I needed. Thomas encourages the reader to surrender to God’s lordship and the enabling power of the indwelling Holy Spirit. A Place Where Dreams Come True is not just another memoir. Thomas not only relates the events of his life, he interprets them and in the process manages to teach about forgiving, family, and having an intimate relationship with God. This book became my devotional as I was reading it. I recommend it. 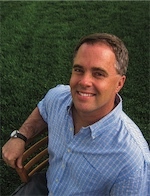 Chuck Thomas is a husband and father of four children, a licensed minister, who holds degrees in theology, automotive technology, and electronics, and a student of the fine arts. Chuck has worked as an automotive technician, youth minister, Teen Challenge counselor, and transmitter engineer, and has done evangelistic preaching at home and abroad.